On this Day Indore IND vs NZ 3rd Test Day 1 The Indian Captain Virat Kohli Hit His 13th Test Hundreds. End Of the day India Score 267/3 90 Over & Virat Kohli Score 103(191)* In This Inning Virat Kohli Hit 10 Four & Make Best Score For Team ...!! In This Day Virat Make Big Partnership with Rahane Virat(103)* & Rahane(79)* make 167* Run Partnership. Virat & Rahane Finished 1st Day . Virat Fan Very Happy For This Inning Because Virat Kohli come back in His Form . 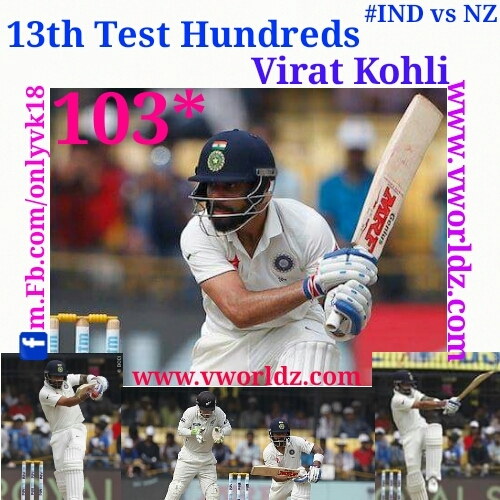 0 Response to "Braking News: Virat Kohli Hit His 13th Test Hundreds IND Vs NZ"